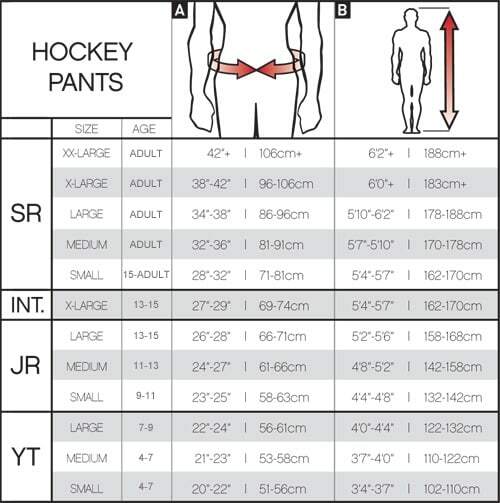 CCM Tacks 7092 Hockey Pants - Senior is rated 5.0 out of 5 by 3. Rated 5 out of 5 by Doug P from Great pants. Pants fit great and are lighter then my old ones. They dry out faster also with the new type of padding. I highly recommend these for the price. Sizing was correct as well. Rated 5 out of 5 by MrLucky from Amazing pants. Love these. Fit tight. Don't slip. Scored goal in first game with them in my beer league. Rated 5 out of 5 by Ian D from Nice pants Bought a seniors medium for my tall, slim 15 year old. He's very happy with them. And we plan on using the lengthening feature when the time comes, probably sooner than later. 1588 grams based on a senior MED.